The EU Commission sounded the alarm after the US House of Representatives voted in favour of the measures, despite opposition from Donald Trump. The bill is likely to complicate the US president's hopes of improving relations with Russia. It aims to punish Russia for alleged interference in the 2016 US election. In a statement, the Commission President Jean-Claude Juncker said: "The EU is fully committed to the Russia sanctions regime." 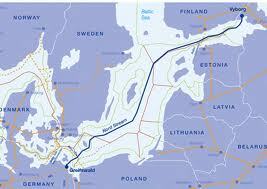 But he warned of "unintended unilateral effects that impact the EU's energy security interests". Several European nations, including Germany, are angry because the new law could penalise companies working on pipelines from Russia, for example by limiting their access to US banks.